Soil food web series: Does your soil have Wi Fi(ngus) connection? We often talk about the soil food web and how its balance is important in a functioning ecosystem. Each of the organisms in the web plays a critical role and their absence in the chain can set up a domino effect that could possibly collapse the entire soil microbiology system. The focus of this blog will be on soil fungi and the role they play in the functioning of a soil food web and what its absence means in the soil. The role of soil fungi is unparalleled in soil health. It is one of the most important groups of micro-organisms in the decomposition cycle and probably one of the most resilient too. Unlike other microbes, under unfavourable conditions, fungi can remain in an inactive (resting) state for years. This allows it to survive until soil conditions improve. 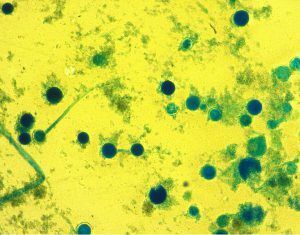 Yes, bacteria and all other microbial groups play a role in decomposition of organic material, however they all degrade different residues, and in a different manner than fungi. Fungi have the ability to decompose the hard-to-digest organic material which could take bacteria thousands of years to decompose. Furthermore, fungi require much less nitrogen to facilitate the process of decomposition compared to bacteria meaning that they compete much less with the plant for nitrogen than bacteria do. 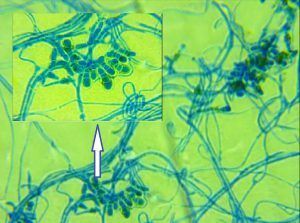 Soil fungi is less abundant than soil bacteria, but they have an equal or higher biomass than bacteria due to their larger size. Fungi not only play a role in the soil microbial connections but it also play a critical role in connecting plant roots to each other. This is probably one of the most important characteristics of fungi, as it assists in the transfer of nutrients and water from one plant root to another. What is even more fascinating is that, if there is no soil disturbance, one mother fungi can connect itself via plant roots in an area of over 20 ha. Any form of management practice that disturbs the soil breaks these fungal connections and it takes a lot of energy and time for the fungus to reconnect and regenerate itself.